Dear my how are you today? How you slept my love? I hope that with you and with your family all is good! Lovely mine with me too all is good also I in good mood today! at us such good weather today also shines the sun. I very much do not have you today near to me. My dear that you do today? How your health? hours. And then I shall go and I shall take a walk still! Lovely mine I very strongly grieve on you and I wait for you! Please write to me the letter if I will not be in a network! I love you and I think only and only of mine Wayne! wonder if its the same one... though neither of those email addresses are familiar. janet..... a few things you and your friend need to understand about these scams. they're highly automated. they won't usually remember who they scammed or tried to scam before. they have no intention of meeting anybody.....or travelling to another country. the scams are conducted by groups of men, using sets of pictures of pretty people....who almost always...are not connected with the scams. post pictures of marina. she may well be somebodys tanya, olga, or natalia. the pictures are reused....and with many identities and email addresses. its better your friend was left standing at his local airport....than one in russia! this sounds like the common 'i can work in any city and will come to your city and do you' scam. Rather new at this, how do I get her photo on? 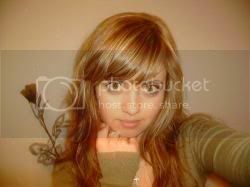 Open a photobucket account and upload it. They then give you the IMG link for you to cut and paste here. Make sure you put SCAMMER on it so it can't be used by a visiting vlad. It would seem that you have allready discovered photobucket and it also seems you have copy and pasted the image URL. What you did not do is highlight the URL and click on the IMG button when you are putting your image into your post. But as you obviously noticed now your photo is here. "I did send my photos that you now anonizm on them!!". "Please do not write me again I do not like you morely". "You think I Scammar? I not Scammar I lover of menthings". "FU, I have understood, that you do not wish to help me! I will ask the help from other man! P.S Those photos not mine! They are completely made program PHOTOSHOP! Good luck the unfortunate pervert!" She does look like a little bug you just want to trample on. My friend got a message from her apologising that she did not get onto the plane etc etc. Her excuse she was detained for two days because she was bringing over an antique artifact for him and they arrested her at customs, yea sure . She came across as the one that was being wronged and said she would pay back his money that he sent to her. He just told her that she has enough money there to change the ticket and if she still wants to come she can do it on her own steam. He is away now and will be back next week so don't know if she has replied but will keep you all informed. Oh the excuses they make up for not making the arranged meeting can be endless. In this very forum I have read about missed planes, emergency operations, kidnapped by taxi drivers, problems with their visa, mystery illnesses, bad weather, plane hijackings, sick relatives, food poisoning, falling asleep, getting mugged or being robbed, planes diverting, pilots dying midair, getting stuck in the lift, catching the wrong plane and even relatives of theirs informing us the scammer has died in a tragic accident involving a truckload of rubber dog poop....endless varieties. It's a shame when real people are taken in by these scumsuckers but perhaps with education from sites like this hopefully we can alleviate this type of thing from happening so frequently. Well what do you know she is still at it, another message from her saying that she feels hurt because what his friends think of her now and she does not think she wants to come anymore because of what we all think of her. She says she will be going to Moscow to pay the fines for wanting to bring his gift to him (yea sure) and that she will pay all his money back to him (that will never happen) My friend has been tagging her along saying that he still wants to meet her and that he thinks he will come to Russia to see her, well guess what no reply back from her. Keep you all posted. Have you considered baiting this one yourself. We could give you plenty of help if you want to get started. The most satisfying baits are those that have a significance to you. revenge can be very sweet indeed. Can you give us any original emails, I don't mind just chucking out an aesm. The original email is always a good place to start. Depending on how old of course. As Murry said have ago yourself and I'm sure you've read all the stickies etc. BTW, I have found the fastest way to kill a vlad bait is to say you are going to visit . There is nothing in it for them so they drop you cold. So Janet this may be good news for your friend. However as he has paid money before they might just come back looking for more. What do reckon we give this one some special attention? Come to think about the empty romance section, where are the others? I did send U&U and Tasman emails much the same as the one I sent you directing them to Yuku but seen no sign of either. I might send an email and tell them to check the email they used when they signed up to eater. Ok Janet if you can feed us as much info as possible we will see if we can mess this one up. I hope we see a few of the regulars here soon. Having said that I was going through a drought, it started to pour and now it's just at a comfortable drizzle. So This one will slot in nicley. First step is to get an IP stripping email address, Gmail is great for this, set up an account as a male with nothting at all real. Send your Vlad an email, it is best done using information from an email of hers but without it send an email saying something like " I have not heard from you in a while, If you are still interested I would love to get to know you"
Take it from there, you vlad will read very little of what you write at first but will progressively read more and more and gradualy get off script. The money requests will roll in sooner or later and you will then go through the stall, to I sent it, then lets try a different way to get money to you, get bank account info, close bank account, complain that you sent money but bank account closed.